With age, our bodies produce less hyaluronic acid, which is a natural sugar found in the body that binds to water, making skin smooth and radiant looking. The injectable treatment provides this natural-looking effect for a refreshed look – allowing patients to seeand feel the difference. Restylane Skinboosters is suitable for a range of skin types, regardless of a person’s age or gender. 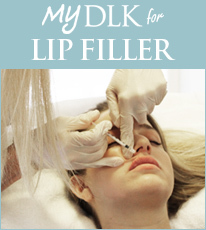 It can be used on its own or to complement an existing aesthetic treatment plan. Canadian entrepreneur, philanthropist and star of the television series Real Housewives of Toronto, Joan Kelley Walker, was treated with Restylane Skinboosters. The Restylane portfolio of products includes Restylane® Skinboosters™, Restylane® Lidocaine, Restylane® Fine Lines-L, Restylane® Refyne, Restylane® Defyne, Restylane® Volyme, Restylane® Lyft Lidocaine and Restylane® Kysse. Restylane Skinboosters is exclusively administered by highly skilled healthcare professionals at select clinics nationwide. Galderma, Nestlé Skin Health’s medical solutions business, was created in 1981 and is now present in over 100 countries with an extensive product portfolio to treat a range of dermatological conditions. The company partners with health care practitioners around the world to meet the skin health needs of people throughout their lifetime. Galderma is a leader in research and development of scientifically-defined and medically-proven solutions for the skin, hair and nails. For more information, visit www.galderma.ca. i Restylane Skinboosters Vital Lidocaine Instructions for Use. Indicated in the lower cheek/jawline in the face and dorsal hands. ii Restylane Skinboosters Vital Light Lidocaine Instructions for Use. Indicated in the lower cheek/jawline in the face and upper neck. iii Data on File, Galderma Canada Inc.